Oh, NO! One of our favorites! Been watching since the very 1st episode. Love the writing, cast, and storylines. One of the best shows on CBS. Hopefully, CBS’s loss will be another network’s gain and the series will be picked up by another network. Criminal Minds has quite a following that you apparently are not aware of, or you don’t give a hoot. Big mistake CBS! Absolutely love this show. My family has watched all the seasons and we watch it every week when it’s on. I would love to see Criminal Minds keep going. It will be sad when it ends. Best show on TV. Please don’t cancel this show. Best writing and acting of any show. Please don’t cancel my favorite show. Please keep! The best show on the air!!!!! I’ve been watching since the beginning and just love Matthew gruber ! I’m getting old.. please don’t take my favorite show away!!! 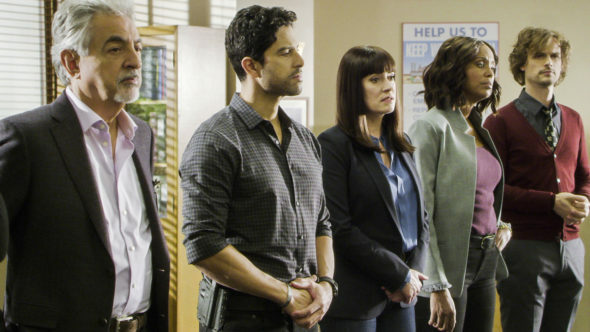 I think CBS is making a big mistake cancelling Criminal Minds after the 15th season. CBS is good for cancelling really good shows. Since Shemar Moore left and Thomas Gibson was fired, the show has lost ratings. Maybe another network could pick the series for a few more years or get Netflix to pick it up. Lucifer got cancelled after the 3rd season and Designated Survivor was cancelled after the 2nd. They were on different networks, but Netflix picked them up. We love Criminal Minds It’s a great show. 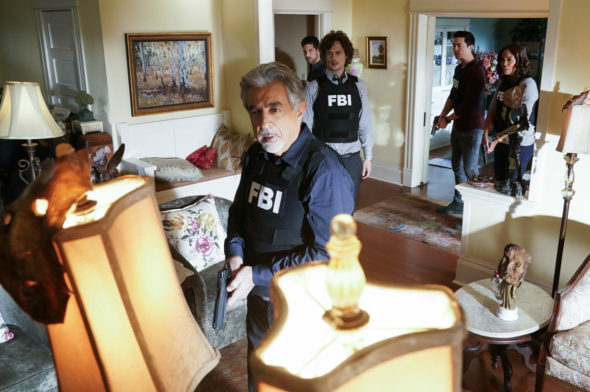 I’d rather watch reruns of Criminal Minds than new episodes of Swat. This is one of my favorite shows. I will be sad to see it go. Sounds like they are trying to please a younger crowd. Just straight up ignorant for this. I watch Criminal Minds every week and have from the beginning. I like to record it and usually watch the next day. Love the stars. I would continue to watch for as long as I can. Can’t we get rid of one of those “reality” shows that are so phony and dumb down our young people, and replace it with Criminal Minds? I would extend this the best show, I have been watching since day one. I would keep it on past season 15. I love this show and I have watched since day 1. I truly hate to see it go,but truthfully it hasn’t been as good without Thomas Gibson. But even without him I’m still very faithful to this show.I love this show & the cast. I would most definitely extend the production past the 15th season! This has been the BEST tv show ever made & the entire cast has been absolutely enthralling to watch. I have seen every episode at least 50 times each & many of them still make me tear up! I think it’s a mistake to cancel the show & im saddened beyond repair that I won’t be looking forward to new episodes. At least I can still watch the reruns that ION & WE tv shows every week. I doubt I’ll continue watching tv except for Criminal Minds! Love the show! Love the cast! Will be sad if it ends! What can we do to make the network change their minds?